Jay Z is making history as he will become the first rapper inducted into the Songwriters Hall of Fame later this year. The news was announced by Chic legend Nile Rodgers on CBS This Morning. 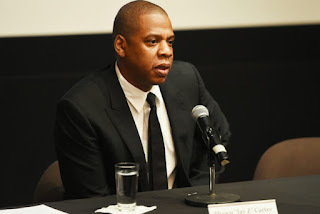 Along with Jay Z being introduced with the likes of Max Martin, Kenneth “Babyface” Edmonds, Motown founder Berry Gordy, Jimmy Jam and Terry Lewis and three members of Chicago on the list too. The Songwriters Hall of Fame ceremony takes place June 15th at Marriott Marquis Hotel in NYC.